On 4th November 1921, during the Truce that followed the Irish War of Independence, Michael Collins, as IRA Director of Intelligence, wrote to the staff of the Mullingar IRA Brigade in Co. Westmeath. He had received a troubling letter about the arrests of two of its Volunteers: Patrick Dowling on 21st September, followed by Christopher Kelleghan on 22nd. Both had been singled out for subversive activities when they attempted to contact the GHQ of the IRA in Dublin. The two men, so the letter went, were imprisoned in the cellars of a building on the outskirts of Mullingar along with a number of other suspects. The cellar was damp and sleeping conditions primitive, with Dowling and Kelleghan having to make do with some straw, wooden boards, a single blanket and a ground sheet. Dowling was allowed an hour and a half outside for exercise each day while Kelleghan had half an hour. 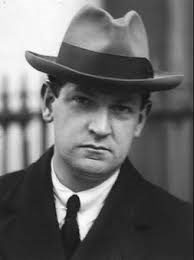 During the truce, Michael Collins was alerted to the arrest of two Mullingar IRA men, Kelleghan and Dowling by their comrades. Most disturbing were the allegations that the abuse had not been limited to simple neglect. Upon arrival at the place of detention, Dowling had been ordered to say his prayers as he was about to be shot. His request to see a priest was refused on the grounds that his execution was about to happen immediately. At no point had either man been given a trial or court-martial of any kind. The letter that Collins had received summed up such conduct in a damning verdict: “This treatment of prisoners is peculiarly English.” Except English tyranny could not be blamed for an Irish injustice this time. Dowling and Kelleghan had been detained by their own comrades in the Mullingar IRA at the behest of the Brigade staff. The reason why the two prisoners were being so abominably treated, according to the letter, was because they had complained to GHQ about the poor state of affairs within the Brigade. Opportunities to strike against the RIC and the British army had been squandered to the point that Crown forces had moved openly through the town of Mullingar as if without a care in the world. Informers had been tolerated, an example being that of a local official whose letter to the RIC District Inspector about the locations of Volunteers ‘on the run’ had been intercepted. The matter was reported at once to the Brigade HQ, yet no attempt had been made to punish the spy. The two men were arrested for a breach of discipline in appealing to IRA GHQ over the heads of local leaders for their lenience towards ‘spies’. It was true that the ongoing Truce had put a halt to any military operations by the IRA but when the fighting resumed, as it was likely to do, how could the Mullingar Brigade in its present state expect to do its part? It was thus for the good of the cause that Dowling and Kelleghan had made their complaints. For his efforts, Kelleghan had been threatened with death if he did not flee the country by none other than James Maguire, the O/C of the Brigade. Collins ended his message with a request for a full report to be submitted on the matter as soon as possible. The author of the letter that Collins had received went unnamed though, judging by the sympathetic tone, it was either Dowling or Kelleghan, or someone close to them. Collins was not the only senior revolutionary figure who would be drawn into this dispute. As Adjutant-General of the IRA, Gearóid O’Sullivan would be called upon to handle the bulk of the paperwork relating to the case. In a letter to Sean Boylan on 17th October, O’Sullivan asked the 1st Eastern Division’s O/C, who represented the middle tier between GHQ and the country brigades, for a report on the arrests of Dowling and Kelleghan, the charges against them and the conditions of their imprisonment. Boylan was also to explain, and here a note of reproach slid into O’Sullivan’s letter, why the matter had not originally been reported to Boylan, the implication being that he should have handled it before it could go any further up the hierarchal ladder to land on O’Sullivan’s desk. Another issue that needed addressing was the lack of a court-martial for Dowling and Kelleghan after their arrest. If the Mullingar Brigade had failed to provide one, then it would be up to GHQ in the form of O’Sullivan to fill that breach in procedure. Many of O’Sullivan’s letters were thus for the purpose of gathering the necessary information for the upcoming inquiry. One unresolved question was the status of Kelleghan within the IRA. A letter, dated 13th October, from O’Sullivan to Liam Lynch, the O/C of the 1st Southern Division which encompassed the Cork brigades, asked for further details on the man. Kelleghan had claimed to have been a member of the 7th Battalion of the 2nd Cork Brigade, where he had held the posts of Company Quartermaster and Battalion Armourer. According to him, he had been on active service with the battalion for a few months previous to the Christmas of 1920 before returning to his native Mullingar on sick leave. The gap in O’Sullivan’s text hints at the problem of classifying exactly what had happened. The accused had not disobeyed orders or directly challenged their superiors, so ‘mutiny’ did not seem to be quite the right word. A letter, dated 21st October, from Seán Grogan, the O/C of the 1st Battalion, Mullingar Brigade, provided an insider’s perspective to the incident. Grogan told of how, in November 1920, he had been approached by Kelleghan who told him he had just arrived from Cork a few days ago, having previously served in the IRA there. Kelleghan had asked about the possibility of acquiring some revolvers for Cork but the conversation petered out when Grogan told him that Mullingar had no guns to spare. In February 1921, it was discovered that Kelleghan had assembled, on his own initiative, a flying column with eight others in the Mullingar Company. Not that Grogan thought they could achieve much, lacking as they did weapons and ammunition (a constant headache for the Westmeath Volunteers), but Kelleghan had apparently told his new followers that not only had he received permission from GHQ to start the column but that he would provide the necessary equipment. Eight of the attendees stepped forth. McCoy told them that they could not belong to two companies and that they were to be suspended from the Mullingar one pending instructions from the Brigade HQ. A month later, Grogan attended a council meeting, where a written report on the episode was handed to the Brigade O/C, James Maguire. Maguire agreed that suspending the Volunteers involved had been the only course of action under the circumstances. Furthermore, if the men in question were found to be further interfering with the work of the Company, they would be arrested. Nothing further was heard about the column. It appeared to have withered on the vine, and the mutinous feelings with it, until sometime after the Truce in July 1921, when Dowling sent a report to GHQ. Grogan did not say what Dowling’s letter contained but its tone can be guessed. The message was forwarded to James Maguire who made good on his threat. At another Brigade council, on 20th September, it was decided that Dowling be arrested on the charges of making false statements about Brigade officers. As an afterthought, Kelleghan was also to be detained as the instigator of the whole mess. A letter, dated 22nd October 1921, by Joseph Begnal, the Adjutant of the 5th Battalion, Mullingar Brigade, provided an extra dimension to the story: Upon arrest, Dowling and Kelleghan had had a number of letters on them. This correspondence was related to the connections both of them had made in Dublin with men they believed to be from GHQ. These contacts went as far as to claim that they could get in touch with the famed Michael Collins quite easily. As far as Begnal could ascertain, none of the supposed GHQ intermediaries were genuine, raising the question as to whether these Dublin contacts had truly been interested in Dowling’s and Kelleghan’s situation or had simply fooling them for whatever purpose. By November, O’Sullivan had gathered enough preliminary evidence to proceed with an inquiry, to be held in Mullingar. Present were the two co-defendants – for the inquiry was as much their trial – having been released. O’Sullivan examined them and took their statements along with those from three of the others who had been dismissed from their Company. Intending to do a thorough job and, hopefully, hear the last of it, O’Sullivan also took statements from the Brigade staff: James Maguire as Brigade O/C, and Henry Killeavy as Vice-Commandant, as well as Sean Boylan as their Divisional Commander. Killeavy in particular and his conduct as an officer would become an issue throughout the hearings. No action taken towards a couple of alleged spies despite the evidence against them. A proposal to rob a RIC policeman of his revolver in Mullingar was quashed by Killeavy who responded by calling the author of the plan an idiot. A deal with a soldier from the nearby Crown barracks to sell his revolver for £3 fell through when the Company Captain would only agree to pay 10s. Killeavy was drunk at a ceilidhe, during which he struck the O/C, Maguire, with his revolver. Although he did not contribute much else to the inquiry, Joseph Farrell, one of the four men who had been dismissed, provided another example of Killeavy squandering an opportunity to obtain much needed arms: a British sergeant had offered Farrell the sale of sixteen rifles. Farrell had passed this onto Killeavy but the Vice-Commandant did nothing about it. Another suspended man, Malachy Mulkeans, corroborated to the inquiry the story of Killeavy being publicly drunk, though he did not see him strike Maguire. Worsening tensions within the Company was the selection process for its officers. The Company men were told on parade ground that they could not select their officers themselves; this to be done instead by the Brigade staff in accordance with orders from GHQ. Dowling did not think much of some of the officers so selected, though he did not consider himself to be more suitable. When told to come to a Company meeting, a disgruntled Dowling sarcastically asked if it was going to be for the usual lacklustre activities. Dowling was rapidly gaining a reputation as a malcontent. However self-serving, it was a pertinent point, and one that was never properly rebutted. After all, however unauthorised the column had been, was it not part of what the Volunteers were supposed to be doing? When Dowling was arrested, it was by two other Volunteers who arrived at his home to ask him to come with them. No reasons were given. Dowling dutifully went with them, and they waited by the side of a road for an hour. The two escorts conferred in private and then one left, leaving the other to inform Dowling that he was now under arrest. A motor car drove up to meet them. Killeavy stepped out, telling Dowling to put on his coat and the other man to blindfold Dowling. When Dowling asked if he was going to be executed, Killeavy replied in the negative. Dowling was driven to the place that was to be his prison. He was left in the cell for a fortnight, and ultimately detained for three weeks. Of his treatment, Dowling claimed, three days passed before he was allowed exercise and sixteen days before a blanket was given for his straw-bed. For four days he had neither a wash nor a shave. Although identified by the Brigade staff as the Iago of the troubles, Kelleghan’s statement was comparatively brief next to his co-defendant’s. He had known Dowling from school in Mullingar. 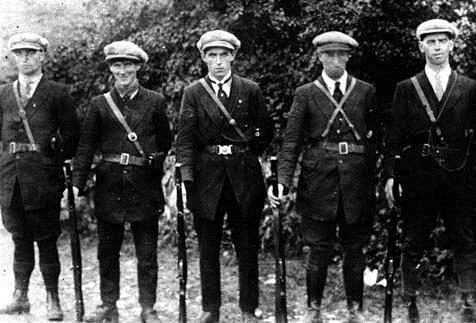 His prior IRA service had been in the Millstreet Company in Co. Cork, where he had taken part in an ambush as a lookout along with some other minor activities. Upon his return to Mullingar in December 1920, he had considered getting a transfer to the local IRA but decided against due to knowing nothing about the scene. Kelleghan had seen IRA service in the Millstreet Company in Co. Cork. On his return to Mullingar ihe had never formally joined the local unit. He knew enough, however, to approach Dowling and then fourteen other Volunteers – those he and Dowling thought of as the best men for the role – for the purposes of forming a column. At some point, these fourteen had been whittled down to the eight who were willing to step forward on the parade ground as “Kelleghan’s crowd”. Perhaps after some prodding from the inquiry, Kelleghan admitted that he should have joined the Mullingar IRA properly and that he had drawn his recruits from their loyalty to their officers, but maintained he had been right to do so. Unlike Dowling, he did not list the faults in the Mullingar Brigade, being content to focus on Killeavy. Killeavy, he said, had not turned up when mobilised for Volunteer meetings back in 1919. Kelleghan had little to say about the Vice-Commandant at the present time, other than how he, as a prisoner, had heard Killeavy giving his guards orders to shoot should there be an escape-attempt. Kelleghan reiterated Dowling’s complaints that they had been allowed very little exercise while in custody and of the lack of bed-clothes and any change of clothes. Conceding again that his actions had been undisciplined, he insisted that he thought he could legitimatise his column with GHQ through his Dublin contacts. One question that was never fully answered in the inquiry was the role of these mystery contacts into which Kelleghan had put so much faith. Kelleghan had been convinced by them, that GHQ had blessed his efforts in forming a column and would provide the required weapons. This proved not to be the case at all, yet Kelleghan and Dowling gave stories that were broadly similar enough to be convincing, if not altogether clear. 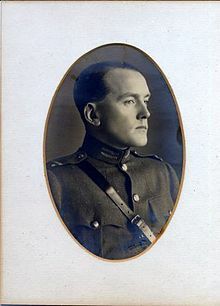 According to Dowling, Kelleghan had travelled to Dublin to seek support for his proposed column and met a man called Martin. When Kelleghan told Martin about his plan, Martin asked if he would like to meet some GHQ men. Dowling was also in Dublin shortly afterwards and spoke with Martin, having previously known the latter’s brother in Mullingar. Martin forwarded Dowling to another man, O’Kennedy, and the two conversed in the pub where O’Kennedy worked, during which O’Kennedy dropped the names of Michael Collins and other prominent figures. Dowling took the other man to be a GHQ initiate on the basis of what Martin told him, and told the inquiry that he would be greatly surprised to learn that O’Kennedy was not even a Volunteer. Kelleghan’s account of these contacts is characteristically short, saying only that he knew nothing about a man called Kennedy (the ‘O’ being dropped in Kelleghan’s version), and he had met Martin in Dublin sometime in 1921, having been given an introduction from an anonymous third party. As Martin had helped Kelleghan get in with several other Volunteers, Kelleghan had assumed he was in the IRA as well and – echoing Dowling – would be surprised to hear that Martin was not a Volunteer after all. Not that Boylan could have claimed much activity in regards to the case, saying only that he had asked Maguire to deal with it and to report to him but giving no indication that he had checked on progress or offered anything in the way of guidance. Maguire was equally keen in his testimony to remain aloof from any responsibility. He had heard about the trouble within the Company when it had first started in February but held off having the guilty parties arrested until September due to a lack of space to confine them. Presenting himself as merely the go-between for others’ orders, Maguire said that he had been told by Boylan to deal with Dowling and Kelleghan, by which he took to mean arrest. He had never met any of the eight suspended men and had left any necessary investigating to the Company officers like Killeavy. Aware that Killeavy’s reputation was also at stake, Maguire praised his Vice-Commandant as a good man. Maguire was being generous. As he recounted years later in his Bureau of Military History (BMH) Statement, he and Killeavy had fallen out sometime before the Truce, the issue being whether the latter was Vice O/C of the 1st Battalion. Killeavy had insisted he had been appointed as such but refused to give Maguire any evidence to support his claim. Maguire found Killeavy an impossible man to reason with but, unlike in the cases of Dowling or Kelleghan, made no effort to discipline or demote him. Either it was easier to let Killeavy keep a post that no one else wanted or he was just a difficult man to say ‘no’ to. The senior IRA officers appointed to look into the case were very critical of the local IRA leaders in Mullingar. No wonder the 1st Battalion had been in a “bad state of disorganisation”, as Maguire put it, with such dysfunction at its top and members seemingly appointing themselves to whatever positions they wanted. But Maguire was clearly prepared to put on a united front when it came to outsiders like O’Sullivan peering into the inner workings of his Brigade or with uppity subordinates forgetting their place. For his part, Killeavy denied being drunk at a ceilidge or striking Maguire. He did not recall anything about Farrell reporting the chance to purchase rifles from a British sergeant. The news of the alleged spies had never been passed on to him. The attitude of most of the defendants was one of contrition. Patrick Dowling, Joseph Farrell, Malachy Mulkearns and the fourth one, Jack Reilly, expressed regret for their indiscipline, and agreed to obey the orders of their officers in the future if they were allowed back into the Company. O’Sullivan was satisfied that the four men had acted with the best of intentions, however wrongly, and had been led into their breach of indiscipline by Kelleghan. All four were to be severely reprimanded and ordered to apologise to Maguire. Following that, they were to be reattached to the Company for three months on probation, after which the question of their continuation in the IRA would be settled for good. In the end the defendants were released but forced to apologise to the Mullingar IRA leaders. As for Kelleghan, O’Sullivan could find no proof for his claims that he had been a Volunteer in Cork or that he had been attached to the Mullingar Company. Until the necessary paperwork was received, any sentence on Kelleghan would be pending. In the meantime, Kelleghan was found guilty of inciting indiscipline and of speaking about IRA matters to a non-Volunteer, by which O’Sullivan meant the mysterious Martin. As with the other four, the inquiry was inclined to believe that Kelleghan had not acted maliciously. O’Sullivan asked Maguire if he would be prepared to reinstate these men. The O/C asked for leave to consult with his staff. After he had done that, Maguire announced that he was indeed prepared to take the prodigal sons back. Which may have been so, but in Mullingar, discipline, obedience and towing the Company line were shown to be more important than personal initiative and enthusiasm. 2 Responses to "Among the Philistines: Dissent and Reaction in the Mullingar IRA Brigade, 1921"